Computed tomography plays an established role in the assessment of patients with clinically suspected and proven bronchogenic carcinoma. Recently, LDCT has been explored as a tool for detecting early lung cancer in asymptomatic individuals at risk for this disease, with encouraging preliminary results [18-20]. The first large-scale LDCT screening studies that were published in the English literature were performed by Kaneko et al. and Sone et al. . Both of these studies were performed in Japan, a country with a rich history of cancer screening. More recently, Henschke et al. reported their experi ence with LDCT screening at two large teaching hospitals in New York. The promising results of these preliminary studies have led many researchers, clinicians, health care policy officials and lung cancer patient advocates to revisit the topic of lung cancer screening . In 1996, Kaneko et al. reported the use of biannual chest radiographs and spiral CT scans in screening 1369 Japanese adults at high risk for developing lung cancer . Peripheral lung cancer was detected in 15 (1%) subjects by CT but in only 4 (0.3%) by chest radiography. A vast majority (93%) of detected cancers was classified as Stage I. In 1998, Sone et al. published their experience in screening 5483 Japanese adults between the ages of 40 and 74 years, including smokers and non-smokers, using LDCT and miniature fluorophotography . 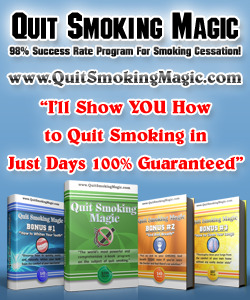 Nineteen patients (prevalence 0.48%) were diagnosed with lung cancer, including 84% with Stage I disease. Miniature fluorophotography was interpreted as negative for malignancy in 18 of the 19 patients with lung cancer. In retrospect, however, judgement errors were present in 3 cases, in which positive findings were erroneously attributed to benign etiologies. Conventional chest radiographs obtained prior to surgery showed no evidence of a lung mass in 10 of 19 patients. There was one false-negative CT scan in a patient with an endobron-chial lesion. In 1999, Henschke et al. reported the results of baseline screening using LDCT and chest radiography in the Early Lung Cancer Action Project (ELCAP), which began in 1993 . In this study, 1000 asymptomatic patients greater than 60 years of age with a positive smoking history (>10 pack-years) underwent screening with both LDCT and chest radiography. LDCT was performed with the following parameters: single breathhold, spiral acquisition; 140 kilovolt peaks (kVp), 40 mA; 10-mm collimation; 2:1 pitch; 5-mm reconstruction interval; and high-resolution (bone) algorithm. Only the lung windows (width 1500, level -650) were provided for interpretation, and each study was interpreted separately by two board-certified radiologists, with a third expert radiologist available for cases that lacked consensus readings. 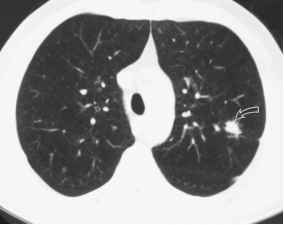 Figure 1 Early lung cancer detection by CT. Computed tomography image (lung windows) reveals an approximately 1.5-cm-diameter spiculated peripheral lung nodule (arrow) in the left upper lobe, which proved to represent an adenocarcinoma. This is the typical size of a lung cancer detected with screening spiral CT scans in the Japanese experience. Also note the presence of centrilobular emphysema. or any combinations of these features were classified as having diffuse disease and were not evaluated by this algorithm. In this study, 27 of 1000 (2.7%) subjects were found to have lung cancer by LDCT versus 7 (0.7%) by chest radiography. With regard to the cancers detected by CT, 26 (96%) were resectable and 23 (85%) were Stage I neoplasms. In contrast, chest radiography detected only 4 (17%) of 23 cases of Stage I disease. 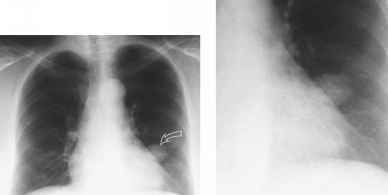 Figure 2 Lung cancer detection by chest radiography. PA chest radiograph (A) reveals an approximately 3-cm-diameter left lower lobe lung nodule (arrow), which proved to represent an adenocarcinoma. The nodule is seen in better detail on the coned-down image of the left lower lobe in B. This is the typical size of a lung cancer detected with screening chest radiographs in the Japanese experience. "Abbreviations: LDCT, low-dose spiral CT; Pk-yrs, pack-years of cigarette smoking; y/o, years old. b Most but not all patients met these criteria. mate outcome measure of a screening study, and a significant reduction in disease-specific mortality is widely regarded as a requisite for a screening study to be adopted as standard care [21,23,24]. Despite the very promising results of these early studies, one should be aware that there are currently several important potential limitations of LDCT (Table 2). First, it is important to note the relatively high false-positive rate of the initial baseline LDCT in the ELCAP study . At baseline screening, 233 of 1000 patients (23.3%) were found to have 1 to 6 noncalcified nodules at LDCT, but only 27 of these nodules proved to be malignant. Notably, however, by following the prescribed guidelines for nodule assessment, only 28 nodules required biopsy. Of these nodules, nearly all (27) were proven malignant. Additional noninvasive imaging methods (PET, C+CT) may decrease the number of follow-up studies Further study of malignant growth rates of small nodules may allow for fewer follow-up studies Computer-aided volumetric measurements will be more accurate Combine LDCT with advanced sputum analysis in order to detect more squamous cell lesions Further study of this subject is required a Abbreviations: LDCT, low-dose spiral CT; PET, positron emission tomography; C+CT, CT nodule contrast enhancement. initial screening study, immediate follow-up diagnostic scan, and subsequent follow-up scans at 3, 6, 12, and 24 months). Moreover, there are also psychological costs to consider for patients with false-positive nodules. Such patients must wait 2 years before receiving a final assurance that a nodule is benign. It is likely that some patients are better suited to a ''watch and wait'' approach than others. Thus, before undergoing this procedure, patients should be aware of the potential need for undergoing several follow-up CT scans. One would expect the false-positive rates of LDCT screening to be greater in areas where there is a high prevalence of granulomatous infections. Indeed, preliminary data from the baseline screening LDCT study at the Mayo Clinic shows that 782 of 1520 screened patients (51%) demonstrated one or more noncalcified nodules (T. Hartman, personal communication, 2000). Although the high prevalence of granulomatous infections is likely the primary reason for the high percentage of patients with lung nodules in this study, technical factors may have also played a role in improved detection of nodules. Technical differences from the ELCAP study included use of a multidetector CT scanner, narrower collimation (5 mm vs. 10 mm), and cineviewing rather than film viewing. The prevalence of lung cancer in this study was below 1%, and 4 patients (0.3%) underwent resection for benign, granulomatous infection. Thus, there may be important geographical barriers to LDCT screening in areas where granulomatous infections are endemic . Compared to baseline prevalence screening, one would anticipate a lower false-positive rate at repeat yearly screening . Recently, Henschke et al. reported their findings from the first annual repeat LDCT exam in the ELCAP screening population . At annual repeat screening, 31 of 623 patients (5%) had truly new or growing nodules compared to baseline screening LDCT. Nine of these nodules proved to be negative or demonstrated benign calcifications on additional high-resolution CT imaging. Of the remaining nodules, 8 were larger than 5 mm in diameter and were biopsied and 7 of these nodules were proven malignant. The overall detection rate of non-small-cell lung cancer on first annual repeat spiral CT was 1%, and 83% were Stage IA neoplasms. Figure 3 Difficulty in measuring growth of small nodules. Doubling the volume of a 5-mm-diameter nodule results in a diameter increase of only 1.25 mm, a difference that may be difficult to detect with conventional methods of measurement on axial CT images. cently, there has been promising work in the area of computer-aided three-dimensional nodule measurement using sophisticated software programs (Fig. 4) [27-29]. Once such methods become more widely accessible and less labor intensive, they will likely play an important role in determining growth of small nodules. A third potential limitation of LDCT screening is its bias toward detecting adenocarcinomas, which comprise the vast majority of peripheral lung cancers [21,30]. In the ELCAP baseline study, over 90% of neoplasms were characterized as an adenocarcinoma cell type; a majority were pure adenocarcinomas and a minority were bronchoalveolar cell carcinomas and adenosqua-mous subtypes . This bias could be reduced by pairing LDCT with a complementary tool for detecting central neoplasms such as advanced sputum analysis techniques . These techniques are discussed below. A fourth potential limitation of LDCT concerns the possible ''overdiagnosis'' of lung cancer . With regard to lung cancer screening, the detection of bronchioloalveolar cell adenomas, a benign lesion that may have malignant potential [31,32], is an example of potential overdiagnosis. This is a controversial subject that requires further study. Finally, as with any screening study, there will be false-negative cases. Kakinuma et al. recently reported seven cases of lung cancer that were initially missed at screening LDCT and subsequently detected on repeat LDCT screening studies performed 6 to 18 months later. Missed nodules were retrospectively categorized as either conspicuous (mean diameter = 11 mm; n = 3) or inconspicuous (mean diameter = 6 mm; n = 4). In order to reduce the number of false-negative cases, these authors emphasize the importance of examining noncalcified nodules with thin-section CT, even when adjacent lesions of prior tuberculosis exist. They also caution that one should carefully inspect pulmonary vessels in order to distinguish them from small pulmonary nodules. Despite an initial ''missed'' diagnosis, six of seven lesions were Stage I neoplasms at the time of diagnosis.